Since 2002, the number of internet users has quadrupled to 2.3 billion people worldwide. The internet allows us to connect with virtually anyone. The internet gives us access to an infinite amount of information. $6.3 trillion – the cost of stamps to replace emails (US alone). Each internet job supports 1.54 additional jobs. There are 30 billion pieces of content shared on Facebook PER MONTH. The fall of the Berlin wall took 4 months. It took just 1 week for 90,000 Egyptians to organize a revolution. And only 18 days to overthrow 30 years of dictatorship. 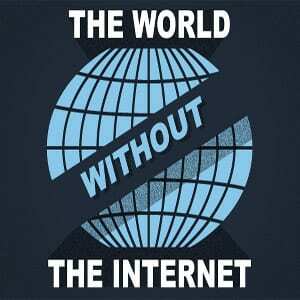 We’d like to hear your thoughts on our “The World Without You (The Internet)” post. You can share them in the comments section below.